It is with pleasure that we share great NEWS with all of you! is still GROWING and CHANGING! What an amazing time it has been since October of 2016 when our book was released. It’s been a journey of remembrance, love revisited in LIGHT, signing books, answering e-mails, speaking, giving presentations and our souls pouring out to others who are searching for answers to life’s questions. Wow, have we heard them ALL! First of all THANK YOU to all of you from two hearts that can’t express enough how much we love all of you! Our lives have been so immensely changed and enriched by ALL of you! Both of us are having a hard time processing how MUCH we have grown since the writing of our book! We have SO much more to share now. 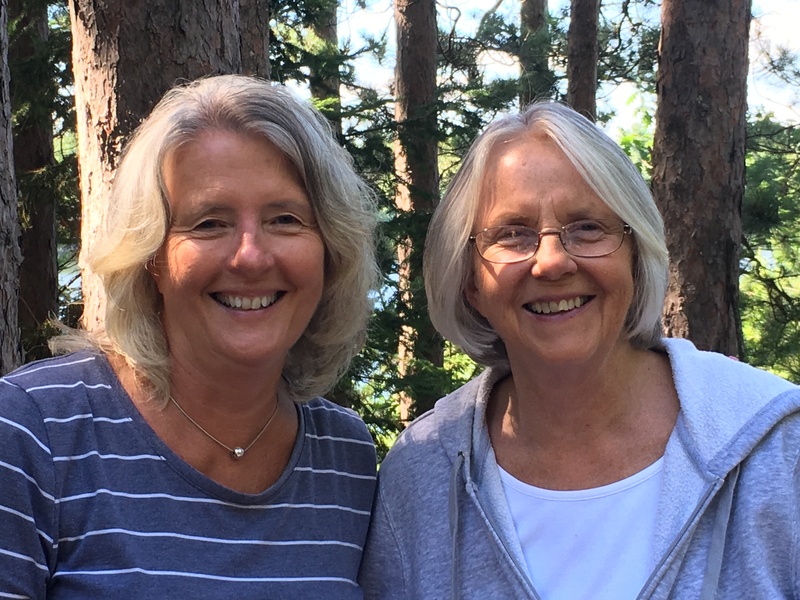 We are hoping that ALL of you might be willing to HELP us out by letting us know how we can continue the ripple of love that has spread as all of us figure out life’s huge questions! Isn’t life in this earthly realm amazing? Yes, difficult, but amazing all the same. We are not the most tech savvy individuals on the planet, but we try hard! We are on Facebook and Twitter too. Check out our website again, we have updated some things for everyone and over the next few weeks things will be updated. But, the biggest change is we are moving back into presentations, book discussions, and workshops for the fall of this year! 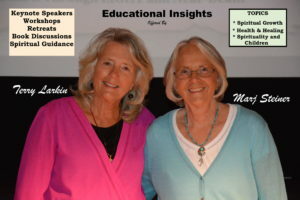 We have new and very updated keynote presentations that we would LOVE to share with a group you know that would benefit and grow from our messages. God has been so present in our lives, and we are hearing…KEEP sharing! Right now, Terry is taking over the booking and dates because she has more time than Marj. 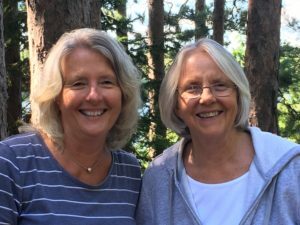 It’s a NATURAL for two sisters who love and respect their family life situations. We are BOTH in this together, but Terry is going to take over presentation speaking for awhile. 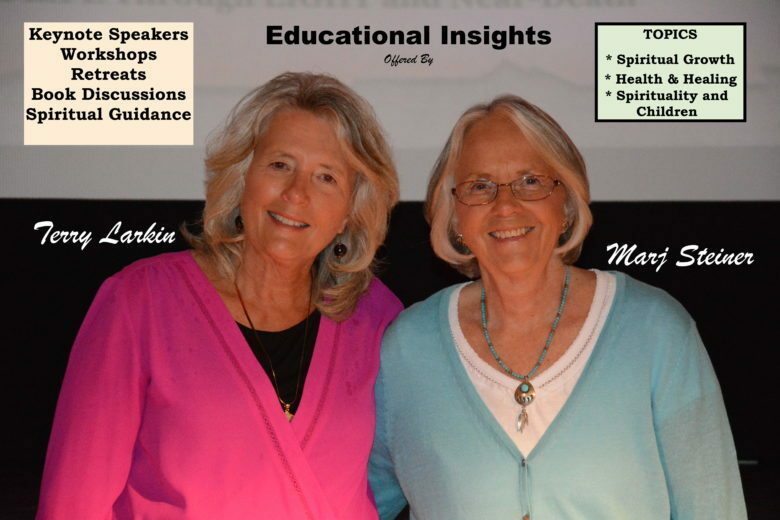 She is a natural “teacher” on the stage, she has totally NEW workshops that can help all, especially in the area of health and healing, but also sharing Marj’s story on stage as she speaks of spiritual growth. We both have GROWN so much in these areas. 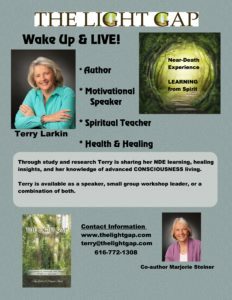 Marj will be joining groups that really can benefit from emotional healing resulting from a death of a child or loved one. She loves small group workshops, book discussions and retreats. We will be booking ALL of these on an individual basis at this time. Once a request is made, we can negotiate the time and whether one of us or both of us will be there. Please know that the two of us are ALWAYS part of this amazing journey. Do you realize how much GROWTH happens in four years of our lives? Wow…we are amazed at our learning beyond our book that we can now share. 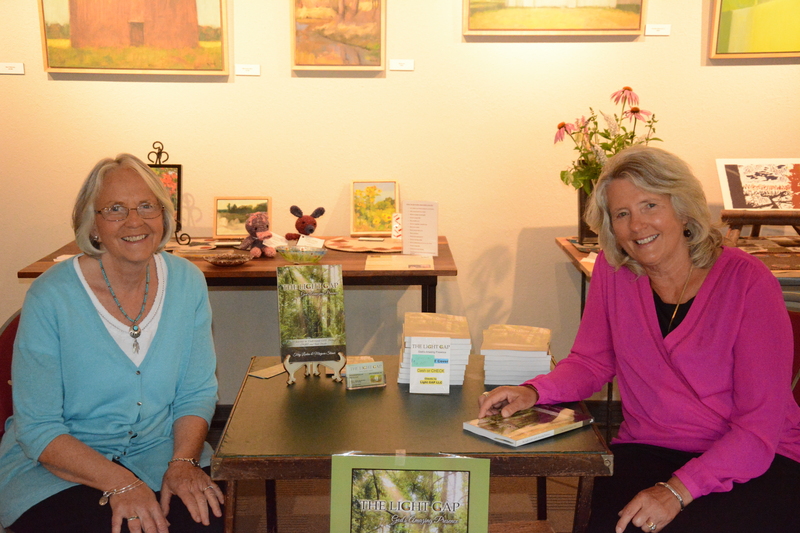 See our website, www.thelightgap.com for details on new presentations, book signing and workshops. PLEASE share these with friends!! We really appreciate all of your help and support. 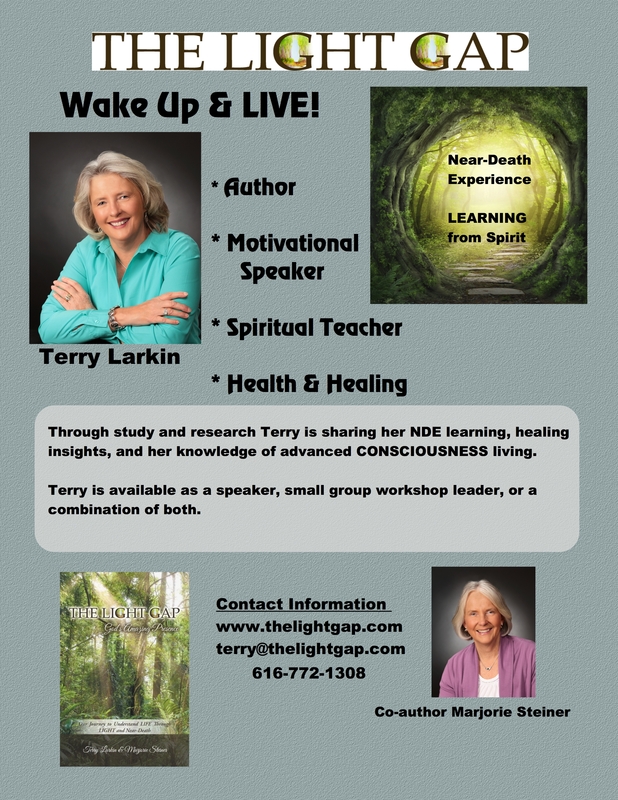 Contact Terry to book a presentation, workshop, book discussion or book signing! CALL 616-772-1308 Please leave a detailed message and Terry will get right back to you and provide all the details you might need! Great talking to you both in the last week. Thank you Pat! 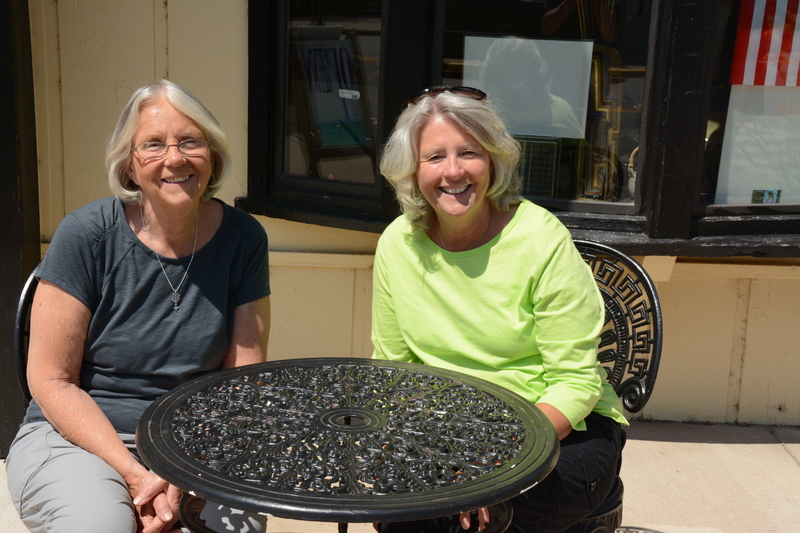 It was great to see you and conversations are always just the BEST! !